Our Mission: To minister to the members of St. Joseph Parish community and visitors by serving the Body and Blood of Jesus Christ at Holy Mass. Our Members: Members are parishioners over 16 years of age. They must be baptized and confirmed. Ministry may begin after training is provided at St. Joseph Church. Diocesan training and certification is subsequently required. Activities: Greet parishioners and visitors before Mass. 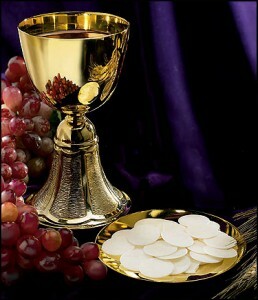 Distribute the Eucharist during Mass.